The Laka VUT90 Tenor Ukulele has a solid Koa top along with laminated Koa back and sides, Mohogany neck with Nato fingerboard and Grover machine heads. 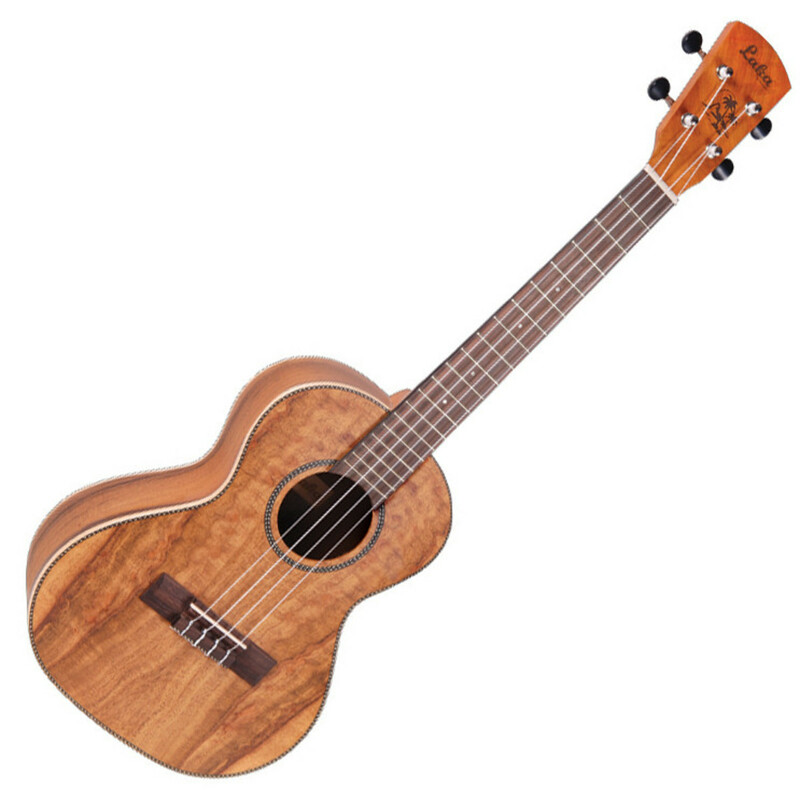 The Tenor ukulele is a big-sounding uke with a 17" scale and looks stunning with its open pore satin finish and body binding. The Laka VUT90 is made from high quality Koa. With an open pore satin finish and strung with premium Italian Aquila strings, this Laka Ukulele offers fantastic performance and sound.